Whether you are considering building a new home, remodeling an existing part of your home, or adding on to your current home, Architectural Kitchen Designs of Stratford, Connecticut (CT) wants to help you envision your dream home as a reality. 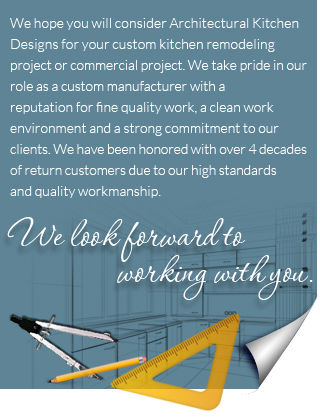 Architectural Kitchen Designs is a family remodeling company in Stratford, CT that has been owned and operated by John Rehm since 1975. 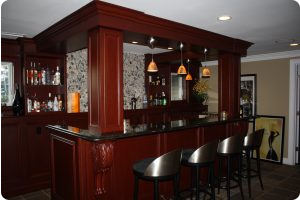 We specialize in custom cabinetry, kitchen renovations, bathroom renovations, home additions, home remodeling services, commercial remodeling services, millwork, garage renovations, basement renovations and more in and around our communities of Stratford, Fairfield, Westport, Woodbridge, Orange, Trumbull, Milford, New Canaan, Darien, Norwalk, Guilford, Madison, Branford, Greenwich, Stamford and surrounding communities in Connecticut (CT). 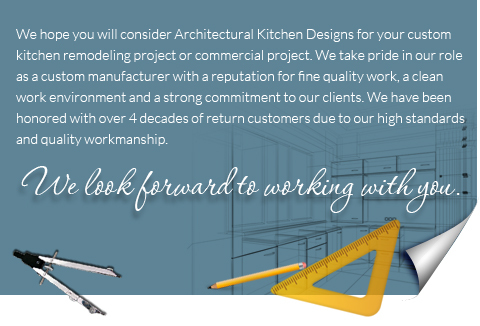 Call (203) 378-6911 or email us to schedule your complimentary Architectural Kitchen Designs Consultation. With your Architectural Kitchen Designs Consultation, you can get a preliminary drawing to help you visualize your dream as a part of your home and a rough idea of how your home will change visually.